Thing Number One: Legend has it that the traditional Whack It Over The Neck With a Metal Bar mousetrap was invented by Hiram Maxim, creator of the Maxim machine gun. Not a particularly sweet fellow, it seems. That said, the US Patent Office awarded patent 661,068 on November 6, 1900 to C.F. Nelson for a mighty familiar looking "Animal Trap." Thing Number Two: Mice don't like cheese. You'll have far more luck baiting the trap with a morsel of meat or even chocolate. You might be wondering why I'm telling you this. Well, it's bait. 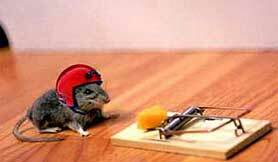 Ralph Waldo Emerson is famously quoted as saying, "Build a better mousetrap, and the world will beat a path to your door." If that's the case, why isn't there some incredibly wealthy inventor living in the Cayman Islands off the proceeds from her invention of The Better Universal Remote Control? My plea: Can any of you recommend a good programmable remote that doesn't cost an arm and three legs, yet controls a VCR, DVD player or two, TV, stereo, and cassette deck? Every one I've tried so far manages to misconfigure an essential function or two. The MOS 6502-based Commodore PET was introduced in 1977 with a meager 4K of memory. This model earns a special place in my heart as the machine I learned to write spaghetti BASIC on. 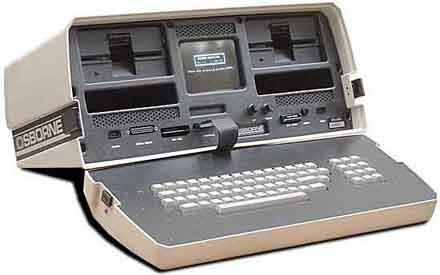 It offered a stunning level of integration with the computer, keyboard, monitor and tape drive all sharing a single 'stylish' case. The PET also had its share of quirks -- while later PETs had keyboards designed for Earthlings, early versions used something akin to a cash register keypad. But -- since I didn't know any better -- I thought it was fabulous. 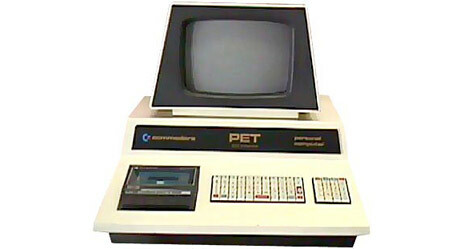 The first series of PETs offered white phosphor monitors, but at some point these were exchanged for trendy green-on-black 'Matrix' displays. All Commodore models featured a secondary set of "graphic icon" characters that could be displayed instead of letters and numbers. This enabled simple graphic displays without requiring a bit-mapped graphic controller (where each pixel could be addressed independently). I've had a recent hankering to find a dead PET and replace its innards with something a tad more modern. It'd be worth it, just to see people do a double-take. 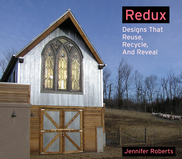 Redux is a 160 page book that focuses on building environmentally friendly houses. Techniques include Renovation, Adaptation, and ecologically intelligent construction. From the publisher: "This book combines extensive salvage use with the larger goal of efficiency and environmentalism--and the results are simply stunning. With a focus on healthfulness, durability, and comfort, Roberts has assembled a collection of living spaces so innovative that it will turn the idea of "salvage" on its head. They span the spectrum of reuse, exemplifying the countless steps that homeowners can take to put a stamp of beauty and individuality on their home while providing the added benefits of being earth-friendlier, healthier, more self-reliant, and more efficient." OhGizmo is running a piece on the Osborne I. This $1795 machine weighed in at 24.5 lbs and just fit under a standard airline seat, qualifying it as a 'portable.' It ran the CP/M operating system and was one of the first machines to come bundled with a huge array of software (Microsoft BASIC, SuperCalc spreadsheet, and WordStar). Osborne earns a place in the Retro Thing Computer Hall of Fame for putting themselves out of business by pre-announcing a new 'executive' model many months before it was ready to ship. The result? Everyone said, "Ohh... I'll hold off buying until the new one's out." Predictably, sales plummeted and they filed for bankruptcy in 1983. Reevo at Ektopia just dropped us a line about his newly acquired Fujipet camera. He describes it as "just about the most retro camera you're likely to see." The Fujipet was marketed as a simple simple point-and-shoot camera and wasn't exported out of Japan. 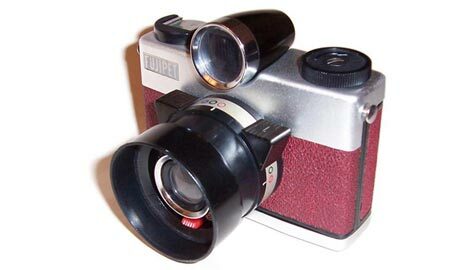 It was originally released in 1957 to shoot medium format (6x6cm negative) film, but the rising popularity of 35mm encouraged Fuji to introduce the Fujipet 35 in 1959. The series went on to sell almost 1 million units. To make things even more amusing, Fuji manufactured this plastic and aluminum camera in three colors: red, black, and green (my fave). Hammacher Schlemmer is offering vintage Pachinko machines ($299) that apparently once lived in the world-famous Ginza in Tokyo. 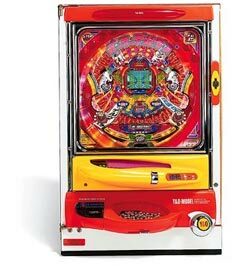 Pachinko is a demented upright variation of a pinball/slot machine that fires hundreds of tiny steel balls through a maze of spinning wheels, bumpers, and bonus traps. Pachinko parlors first appeared in Japan shortly after WWII. Players purchase a large number of steel balls that are inserted into the machine. Because gambling for money isn't allowed under Japanese law, winnings (in the form of more balls) can be exchanged for prizes. Kinda like Las Vegas except powered by ball bearings. 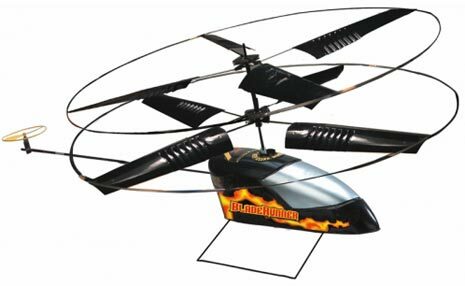 Maybe it's just me, but the Bladerunner R/C helicopter looks like the perfect way to while away dreary winter evenings. It weighs a mere 50g (1.7 oz) and the main rotor is a mere 29 cm (11.5ish inches) in diameter. Radio Control Helicopter Magazine picked it as their Best Beginner aircraft in the Winter 2006 issue. What makes this gnat of an aircraft so easy to fly is its unique dual counter-rotating rotor system, controlled by a full 3-axis R/C transmitter. The electic motor is powered by a tiny rechargable LiPo battery pack. All that's required to power the transmitter is a single 9V battery. Here's the lowdown from the Bladerunner FAQ: "The controls are similar to high-end model helicopters so the Bladerunner is great for learning to operate those horrendously expensive models without making a huge dollar commitment. The BladeRunner is built to withstand minor crashes such as bumping into walls and furniture. The tail rotor is intentionally very small in order to keep the forward / backward speed low - thus making the helicopter easy to fly and to give you lots of time to react. The ring around the small tail propeller is a safety feature, but it also slows down the speed of the tail propeller to keep the forward / backward speed low." To tempt you even more, Draganfly has the original Bladerunner Mark I for a mere $69.95 (there's apparently a new model in the works), and refurbished units are available for under $40. I bet Harrison Ford would love one for Christmas. "Manchester, so much to answer for," or so sang it's favorite son Stephen Patrick Morrissey of The Smiths fame - well little could he have known what would be happening down the road in nearby Salford two decades on. This week, the futuristic looking Lowry (named after the much admired artist of the same name) is host to a truly retro-music event "Some Girls are Bigger than Others". Conceived by the Anonymous Society, this unique happening brings together a string quartet, live theatre performance, film projections and twenty of The Smiths finest tunes. However, this ninety minute Smith-fest has divided its usually loyal and unflappable Mancunian fan base. With its conceptual production, dance and hugely re-worked songs, the event has bemused many with its left-field interpretation of the sacred writings of The Smiths. Still wishing I had snake hips and a quiff to die for, I was positively lost in the onslaught of strings, Super 8 flicks, stomping and bizarrely baroque versions of the songs that once-upon-a-time defined me. Now resident in LA, I doubt Morrissey will experience this homage first hand, but for those that still love The Smiths, catch it while you can - just don't take it too seriously! There was an episode of the original Star Trek series in which Kirk found himself trapped in an alternate universe populated by a most unfriendly version of his crew -- the evil version of Spock sported a fantastic looking goatee. I get the same strange feeling (minus the facial hair) when exploring the world of Soviet-era electronics. 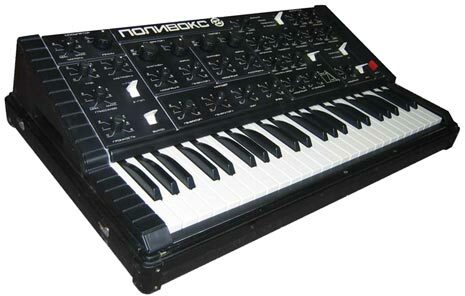 Many vintage Russian synthesizers end up on eBay, like this early 1980s Polyvoks analog synthesizer. Built in 1982 by the Formanta electronic factory, it offers two analog oscillators, an aggressive filter, and tons of twiddly knobs. What excites me most is the idea of struggling with a front panel full of controls labeled in abbreviated Russian. Non-Russian users will be forced to experiment and fumble around, ensuring the production of fantastic-sounding accidental bleeps and squawks. "Polivoks has its own particular electronic parts, reliable keyboard (49 notes F–E) made in magnetically controlled contacts; synthesis modules consist of independent boards, which is convenient for maintenance. In addition, Polivoks is housed in an original body of uncommon design with handy controls. Being closed with a cover, the synthesizer turns into a strong aluminum case." Remember the days when computers where imposing boxes that filled an entire room? Thank goodness we live in the 21st Century where computers look more like a roomful of imposing black monoliths. This is IBM's Blue Gene computer. It was previously the world's fastest (136.9 teraflops), but it turns out that it was only half built at the time. The newly complete system is capable of hitting 280.9 teraflops, which should be absolutely fantastic for scientists needing to model nuclear explosions, study the birth of the universe, or simply render a new McDonalds commercial in record time. "The goal of this project is to allow people to receive postcards from all over the world, for free. Well, almost. The main line is: if you send a postcard, you'll receive at least one back, from a random postcrosser somewhere in the world. Why? 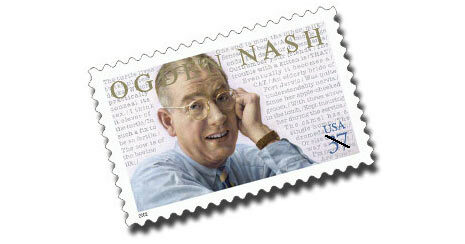 Because, like the author, there are lots of people who like to receive stuff by mail. If you add to that, the surprise factor of receiving postcards from different places in the world that you probably never heard about, you can turn your mailbox into a little surprise box." I wonder if someone in Japan would enjoy receiving my Mastercard bill? 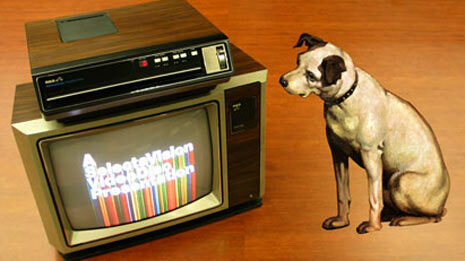 RCA introduced the SelectaVision format in 1981. 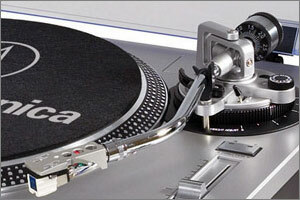 It has the distinction of being one of the last consumer electronic standards developed entirely in the USA. Movies were encoded on large VideoDiscs that were read mechanically using a replaceable stylus. VideoDiscs were encased in plastic sleeves because they were extremely susceptible to dust and contamination. Technically the format compared well to VHS tape -- about 240 lines of resolution. Each side held a maximum of 60 minutes of video, requiring a flip halfway through a feature film. The format was discontinued in 1984 after selling about 500,000 units. VideoDiscs were probably doomed by their short playing time and inability to record -- most households chose tape-based VHS recorders instead. There's still a thriving online community of collectors who buy, sell, and trade old players and movies, although none have been produced since the mid-1980s. The Namco Museum 50th Anniversary Arcade Collection was release several months ago for the PC, Xbox, PS2, Gameboy Advance and Gamecube. And somehow I didn't notice. 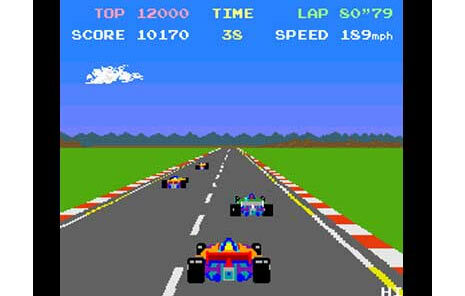 It offers up 14 classics from the 1980s: Pac-Man, Ms. Pac-Man, Galaga, Galaxian, Dig Dug, Pole Position, Pole Position II, Rolling Thunder, Rally X, Bosconian, Dragon Spirit, Sky Kid, Xevious and Mappy. The word on the street is that these appear to be based on the original arcade code and that any embedded easter eggs (such as Galaga's 'hold enemy fire') work as you'd expect. Perfect for those who still have all of the old Pac-Man game patterns buried in their subconscious. Street price is around $20. The Internet can be a great place to get lost. Case in point: I stumbled across Global Plane Search yesterday. They list thousands of aircraft for sale, but the best part of the site is their ex-military section. Always wanted a restored WWII P-51 Mustang? This one's yours for a mere $1.5M. While you're shopping, don't forget to pick up a Mitsubishi Zero for dogfighting. It's only $695,000 but needs a little TLC. After something with a bit more kick? Some dude in Romania is selling a MiG 29 with a mere 717 hours on it. Better brush up on your Russian! And... If you need to do some heavy lifting, don't miss this pair of Lockheed C-130A Hercules. Even though we rarely notice, the products we use are created by skilled industrial designers. Their job is to make impossible products become real. At the same time, they have to come up with designs that look good and can be manufactured profitably. Sadly, the rush to outpace the competition and provide 'better' products causes nothing but headaches for these folks. My DVD player shipped with a 44 button remote, yet many important buttons are arranged in a grid of almost identical rubber dots. Oh, and the large buttons arranged like navigation buttons aren't actually for navigation. Cheap to make, does everything, but impossible to use. My mobile phone has more computing power than most computers did 20 years ago. It emails, photographs, browses the web, and plays games. Is it easier to use than the phone I had five years ago? Not a chance.